Home > Ornaments by Artist > Edythe Kegrize > 2019 Brilliant Butterflies #3 - Avail Now ! 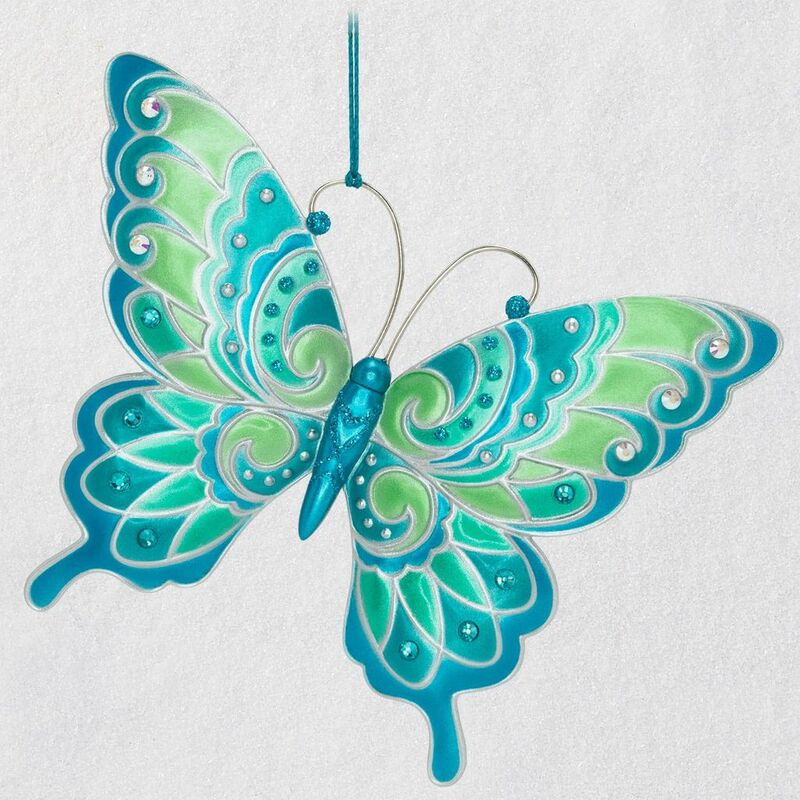 Third in the Brilliant Butterflies series, this luminous green and aqua-toned butterfly Christmas tree ornament features metallic and clear jewel accents. Embossed design on the butterfly's body and bead-tipped antennae add grace and charm. 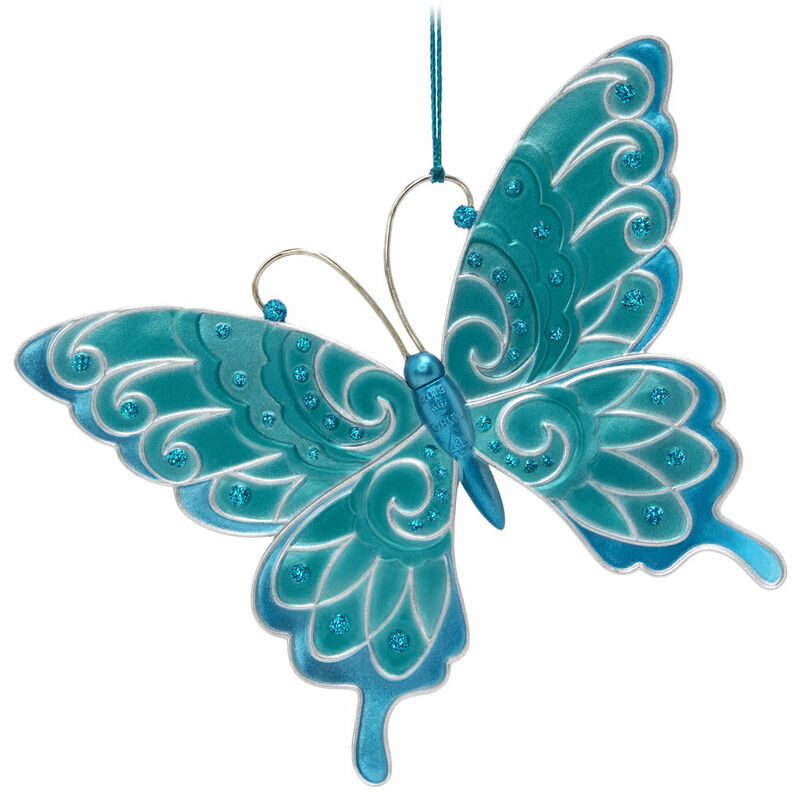 Christmas tree ornament is 3rd in the Brilliant Butterflies collector's series. Artist crafted by Edythe Kegrize, this Christmas tree ornament features gemstone accents. Pre-packaged in a box for easy gift giving, preservation and storage. Dated 2019 in copyright. Plastic Christmas tree ornament is lead-free and measures 4.84" W x 4.78" H x 0.56" D.